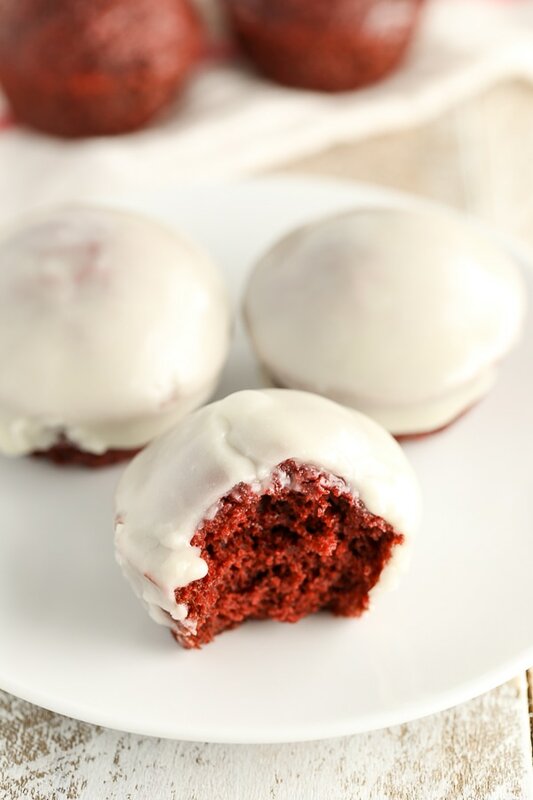 Baked Red Velvet Donut Holes topped with an easy cream cheese glaze and perfect for a sweet breakfast or Valentine’s Day! Ease: Easy to mix up and only 10 minutes to bake! Appearance: The red color makes these so gorgeous! Cons: Different than a fried donut hole, but still delicious! Hi everyone! 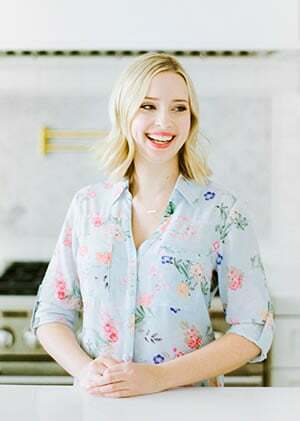 It’s Danielle from Live Well Bake Often and I’m back with another sweet treat that is perfect for breakfast. 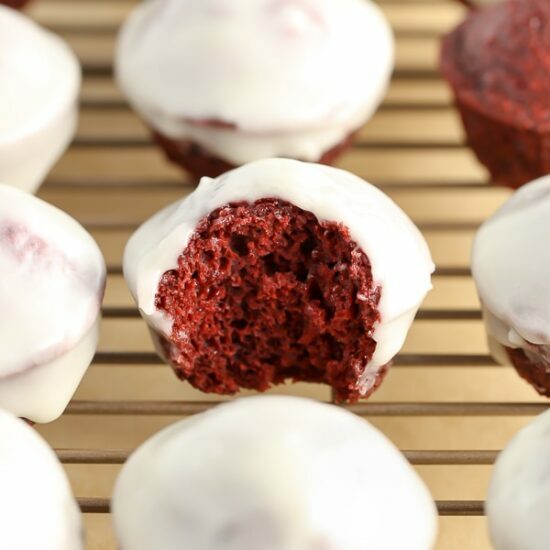 Since Valentine’s Day is just around the corner, I thought these Baked Red Velvet Donut holes would be a perfect recipe to share with you. I’ve made several baked donut hole recipes in the past, from cinnamon sugar to pumpkin, and I’ve have always been a huge fan of them. Baked donut holes are definitely different than a fried donut hole, they have more of a cakey texture. But they’re incredibly easy to make and still taste delicious too. 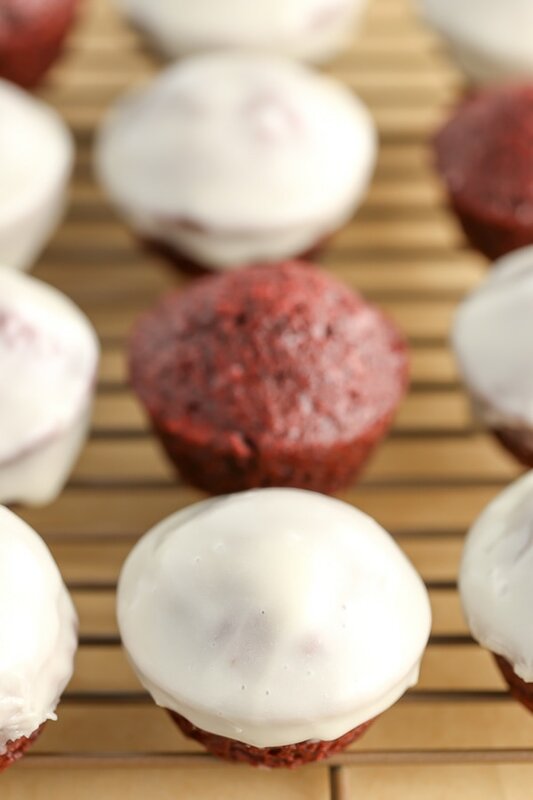 These red velvet donut holes have a hint of chocolate in them like most red velvet desserts. I added in about 1 teaspoon of red food coloring to give them the traditional red velvet color too. You can feel free to use a bit more red food coloring to enhance the color though. The batter itself only takes about 10 minutes to mix up and another 10 minutes to bake. I always bake my donut holes in a mini muffin pan. If you want them to be a little rounder like a traditional donut hole, then something like a donut hole pan would work well too. While the donut holes are cooling, I like to mix up the glaze so I can dunk them into it while they’re still a little warm. Because red velvet pairs so well with cream cheese, I wanted to mix it into the glaze too. 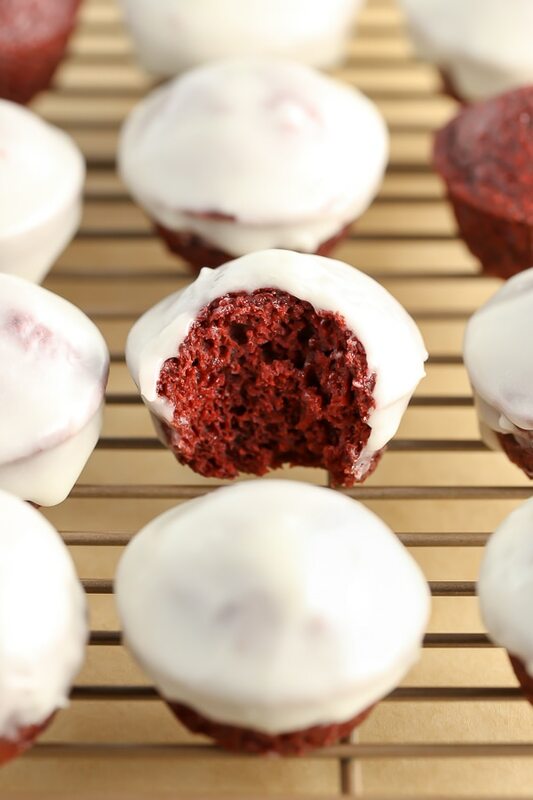 The cream cheese glaze on top of these red velvet donut holes really takes them to the next level. The glaze does takes a little longer to harden compared to just a regular glaze of powdered sugar and milk. But these are still delicious to enjoy before the glaze hardens too! Preheat oven to 350°F. Spray a 24-count mini muffin pan well with nonstick cooking spray and set aside. In a large mixing bowl, sift together the flour, cocoa powder, baking soda, and salt. Whisk until well combined and set aside. In a separate mixing bowl, mix together the buttermilk, sugar, melted butter, egg, vanilla, red food coloring, and vinegar until fully combined. Combine the wet and dry ingredients and mix until just combined, making sure not to over mix the batter. Evenly distribute the batter between all 24 cavities of the mini muffin pan, a piping bag works really well for this part. Bake at 350°F for 10-12 minutes or until a toothpick inserted into the donut hole comes out clean. Remove from the oven and cool in the pan for 5-10 minutes, then remove the donut holes from the pan and transfer to a wire rack to cool. Add the cream cheese, powdered sugar, vanilla, and milk to a medium sized mixing bowl and mix until fully combined and no lumps remain. Dip each donut hole into the glaze and transfer back to the wire rack to allow the glaze to harden.